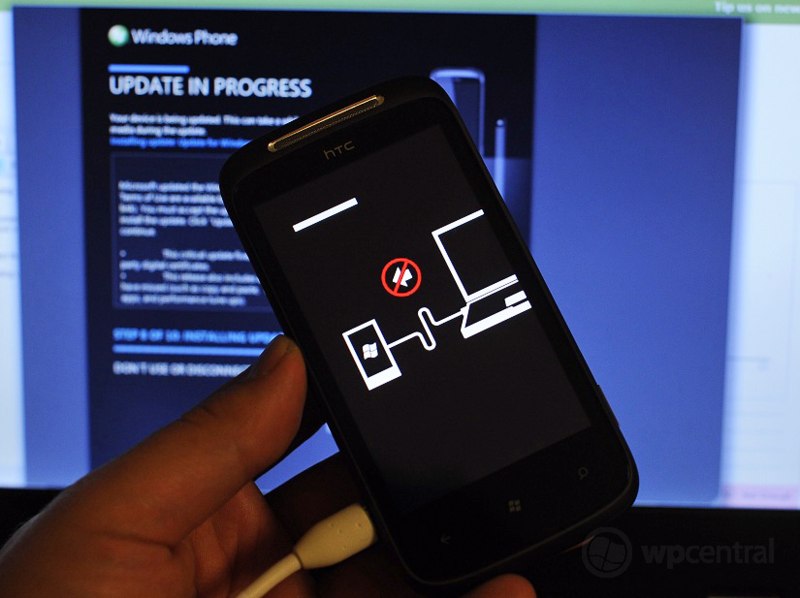 We just got a report in that the venerable (and underrated) HTC Mozart is receiving a Windows Phone "Tango" update. The news comes form the personal blog of Aviraj Ajgekar, who is a Technology Evangelist at Microsoft Corporation. That puts him pretty high up there as far as credibility. What's more, he documented the whole experience noting that his Mozart (we assume un-branded) received no less than three updates, going from OS build 8112.7 to 8773.98 to 8779.8, putting it just slightly ahead of what we understand to be "standard" Tango or Windows Phone Mango, Commercial Release 3 (CR3). The whole update only took a few minutes to download mostly due to the fact that "Tango" only offers a few fixes and updates to the OS (mostly around enhancing MMS). No word if HTC is pushing this out for their other devices but we have a feeling we'll be reporting on this a lot more for HTC phones very soon. Carriers are reportedly going to push out Tango in June while unbranded devices presumably will get it earlier. Nokia already has the Lumia 710 Tango ROM completed with internet sharing on board and we expect the Lumia 800 and 900 to get it as well. Update: Aviraj has deleted the post from his blog and no one else is reportedly getting this update. Is yet another Microsoft employee being misinformed or was this an internal update for testing? Source: Aviraj Ajgekar's Blog; Thanks, Joe (@astroXP), for the tip!